If you’ve ever spilled curry stew on your shirt, God help you, because that shirt is destined for the donation pile. 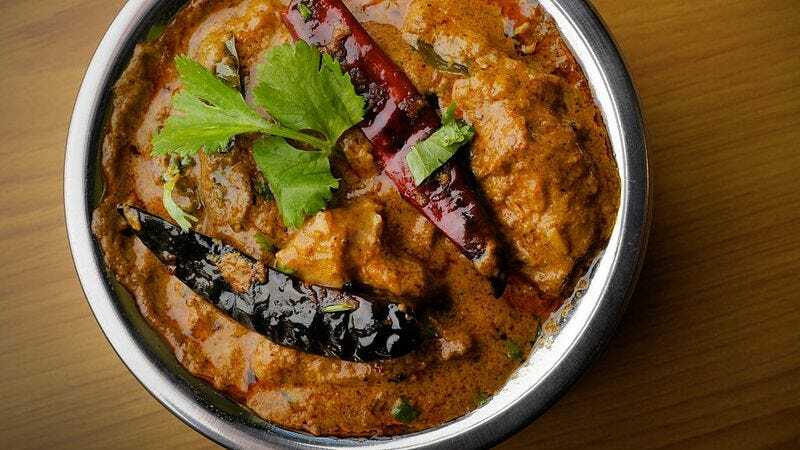 This, of course, can be a serious problem in India—home to delicious vindaloo, rogan josh, and butter chicken—where ingredients such as turmeric and mustard oil tend to cause cumbersome stains. To combat this problem, Panasonic’s Indian division has introduced a washing machine model which, according to the BBC, has a setting specifically to combat curry stains. The company said it took two years to develop the technology, which relies on a specific water temperature and flow to maximize stain removal; the BBC story says, “The machine has five other cycles aimed at the Indian consumer, including one to remove traces of hair oil.” Only 10 percent of Indian households own a washing machine, where washing clothes by hand remains the preferred (and financially viable) method. The model costs about $330 U.S. dollars, and the company said it has sold about 5,000 units so far, in a nation with 1.25 billion people. Which fast food chain serves up the best coffee?